From Sao Paulo, a city more socially-conscious than Rio, where protests against poverty in the context of the millions spent on World Cup 2014 and everything from education to corruption is up for discussion in favelas and fine and expensive condominiums there comes an artist who embodies the city in all its visceral splendour: the vocalist, composer and multi-instrumentalist Paulo Padilha. And, in an era when musicians are… well just musicians, Mr. Padilha is also a modern griot. His stories are about what mostly everyday human beings are confronted with everyday life and what is a mountain hard to climb in their pathetic condition, the journey to its peak is filled with humour and the music and poetry of life that ultimately results in the triumph of human endeavour. It is this very quality of Paulo Padilha’s art that sets him apart from most Brasilian artists and puts him in the proverbial class of his own. His gravely and husky tenor voice is alluring and in his exquisite enunciation and diction is an invitation to explore his world that is exciting, alluring and which lies at the entrance to the underbelly of a Brasilian world that few people want to be seen. The gravity of Mr. Padilha’s music is tempered by the Latin dictum: “Laughing is how we punish the traditions.” This does not make him insensitive to his Brasilian-ness. On the contrary he bows to the tradition, especially in his music that absorbs the wild romp of the samba, the marchinha and others such as forró and maracatu, etc., and converts it—with the elasticity of jazz—into a metaphor of his own. On his record, Na Lojinha de Um Real Eu Me Sinto Milionário an autobiographical CD book that narrates the daily life of a Brazilian musician in a chaotic Latin American metropolis of the 21st century he leads the listener into “Summertime” the Gershwin song in a classic rendition that is interspersed with his own irreverent take on life as Porgy in a story that parallels the character in Gershwin’s musical and therein lies the manner that is typical of his approach to music and life. There is much more in “Guia Fácil para Lindar com Pessoas Dificeis” he shows how to, in a good-humored way, but no less profound one, Mr. Padilha reflects on the artistic creation. He goes from more practical subjects–the mother-in-law as his inspiring muse—to philosophical ramblings in his high-functioning art. 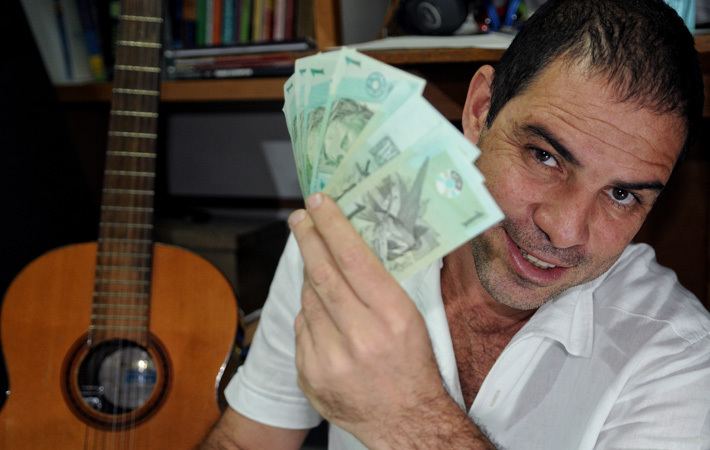 Paulo Padilha is a musician of rare ability. This recording frames his tribute to life in a series of pictures that tell stories that are fabulously poignant and cathartic and, at the same time, lighter and humorously tinged translations of life`s travails. His songs are clever and are like mini concertos, interlinked by pregnant pauses as he interweaves and superimposes dynamically varied passages and dissonant original material into wispy and wry, gentle and ear-catching collages. 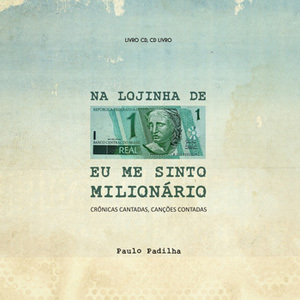 Mr. Padilha also brings requisite songfullness and classic understatement and mock-seriousness “Eu e minhas ideias geniais” a “little” sonata that is followed by the crowning glory of the record. 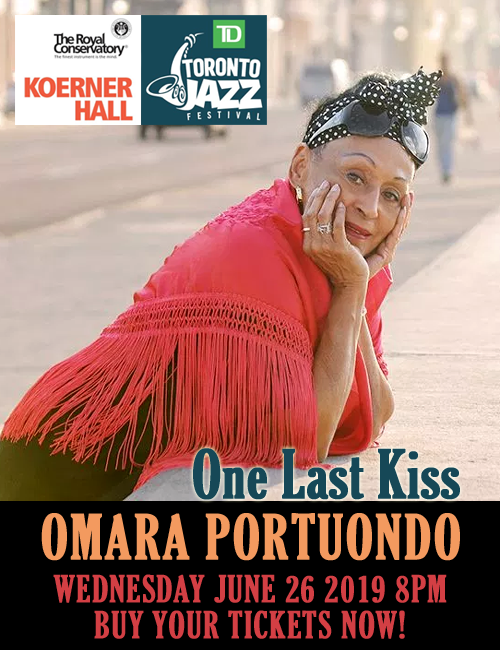 There are more bracing interpretations of life in the marvelous stories that follow throughout this fascinating record of Brasilian life as told by a modern griot with plenty of musical talent. Personnel: Paulo Padilha: violão, nylon string violão, voice; Leonardo Mendes: bass, nylon string violão, programming, ukulele, pandeiro; Jota Erre: isqueiro; cow-bell and drums; Pepe Cisneros: Hammond B3; Suzana Salles: chorus; Vange Millet: chorus; Samba Sam: agogo, garrafas; pandeiro, cuica, shaker, caxixi, repique, repiniaue, agogo, ferro, apito, cajón, surdo; Ricardo Velverde: pandeiro, tamborin, shaker; Gian Correa; 7-string violão; Ildo Silva: cavaco; Henrique Araújo: Bandolim; Jucara Marçal: chorus; Nene Cintra: chorus; Alexandre Ribeiro: clarone and clarinet; Martinalia; Natalia Vasconselos: voice; Mateus Augusto: voice; Nilma Rodrigues: chorus, ganza; Haiesca Martins: chorus and pandeiro; Adriano: alfaia, caxia; Pingo: Triangulo; Banda Confrete de Sao Luiz do Patriatinga: Peixa: keyboards; Ivan Claro: trombone; Ronan Dias: trombone; Eder: Piao: trumpet; Nho Lambis; drums; Joana Egypto: voice, chorus; Gustavo Oliveira: contrabass; Michele Magalhaes: voice; Thar: voice; Suzana Salles: chorus; Lu Lopes: chorus; Iza Lotito: chorus; Teo: chorus; Yanae and Kim Lotito: chorus; Bento Werneck: chorus; Wellington Tiberio: chorus; Leo Mendes: chorus; Diogo Pocas: chorus.